Some of Paul’s Work. Paul’s academic research can be found in a wide range of books and journal on subjects as wide-ranging as medievalism, film studies, and even the Vikings. 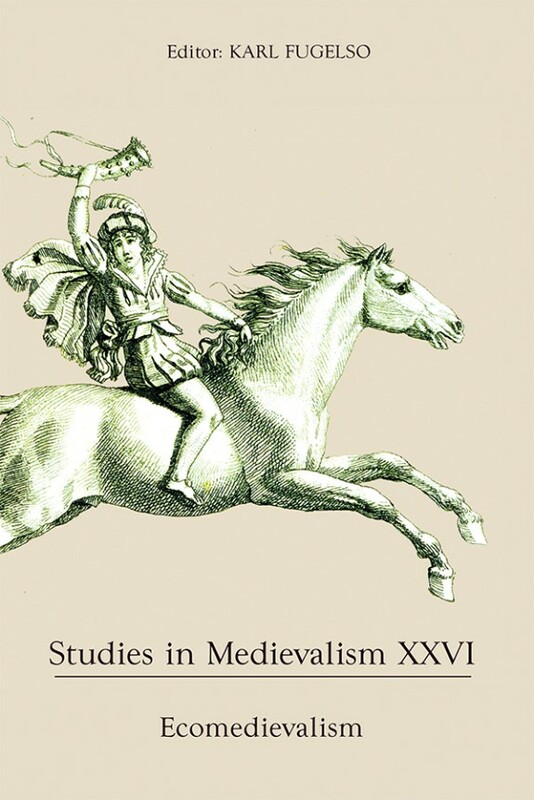 His first book, The Middle Ages in the Popular Imagination: Medievalism, Film, and Historical Consciousness is set to be released later this year by IB Tauris Press. It is now available for pre-order at Amazon.com. In Studies in Medievalism XXVI (Boydell & Brewer, 2017). What do people think when they say the words “Middle Ages”? What about “medieval”? This article discusses a new study that uncovers some of the differences in this basic, thorny question at the heart of medievalism studies. A Grail or A Mirage: Searching the Wasteland of The Road Warrior. 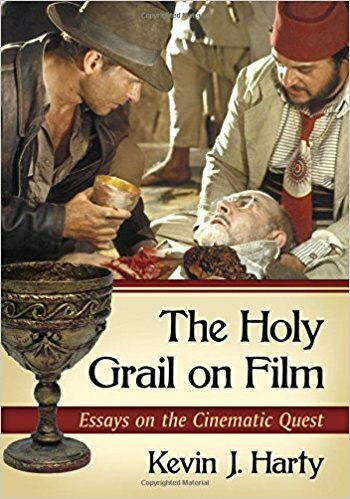 In The Holy Grail on Film: Essays on the Cinematic Quest, edited by Kevin J. Harty (Macfarland and Co, 2015). Preview at Google Books, here. Searching, as medievalists often do, for repetitions of medieval themes in contemporary film and literature, the author takes on the case of the 1981 film: Mad Max 2: The Road Warrior. But ultimately, is this quest for the Middle Ages in this unlikely place productive– and even if it is, is it worthwhile? The author examines George Miller’s famous film and the kaleidoscopic vision of the Holy Grail it offers, while then turning the camera back upon academics, who may be themselves searching in the wrong places for the wrong things. Defining the Epic: Medieval and Fantasy Epics. 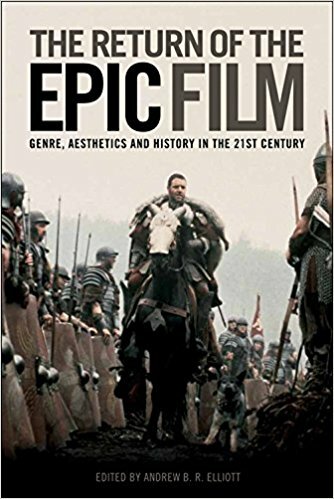 In The Return of the Epic Film: Genre, Aesthetics and History in the 21st Century, edited by Andrew B. R. Elliott (Edinburgh University Press, 2014). This chapter proposes a new way of defining an epic film by relating it to the study of “collective compassion”– the ability to sympathize and empathize with a group rather than an individual. The chapter then examines a group of medieval and fantasy epic films from 2001 to 2013 in light of this new definition of what makes an “epic film”. Contesting the Semantics of Viking Religion. 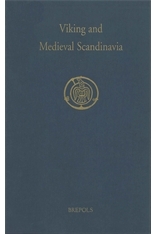 In Viking and Medieval Scandinavia 8 (Brepols, 2013). Available from Brepols Online, here. Scholars typically use three terms to describe Viking-Age Norse religion: ‘pagan’, ‘heathen’, and ‘pre-Christian’. This article examines each of these terms, and explores the problems inherent in their use. It explores their etymologies, their problematic historical contexts, and the ongoing issues with their continuing use among modern scholars. Finally, a new term– “Norse Polytheism” is proposed for future use and discussion. “You Don’t Learn it Deliberately, But You Just Know It From What You’ve Seen”: British Understandings of the Medieval Past Gleaned from Disney’s Fairy Tales. 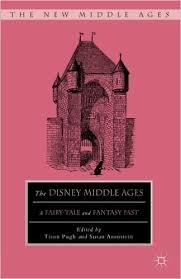 In The Disney Middle Ages, edited by Susan Aronstein and Tison Pugh (Palgrave MacMillan, 2012). Preview available from Google Books, here. The popularity of Disney animated films among English-speaking children is remarkable. While no Disney film has told, or attempted to tell, the story of a real person from the Middle Ages, their landmark fairy tale adaptations are frequently set in a stylized version of the medieval past. This article explores those instances in which Disney’s animated classic films were raised in a study of British young adults’ perceptions of the Middle Ages, with particular attention paid to Aladdin, Beauty and the Beast, Cinderella, Sleeping Beauty, and Snow White and the Seven Dwarves. SaladiNasser: Nasser’s Political Crusade in El Naser Salah Ad Din. 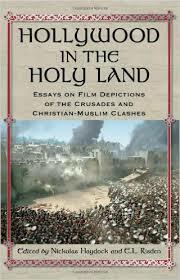 In Hollywood in the Holy Land, edited by Nickolas Haydock and Ed Risden (MacFarland, 2009). There are only a handful of films that depict the Crusades, and only one that focuses on a non-European perspective: Egyptian director Youssef Chahine’s 1963 film El Naser Salah Ad Din (Saladin Victorious). Like many of its western counterparts, Chahine’s film interweaves history and politics, interlacing the Crusades with a propagandistic view of the regime of Egyptian dictator Gamal Nasser. In the film, Saladin stands as an idealized vision both of himself and of Nasser, and by equating the two, seeks to uplift Nasser’s agenda for a multi-religious pan-Arab society.